At our practice you enter as a patient, but leave as a friend. Our hope is to provide you with a lifetime of quality dental care that reflects the appreciation and respect we have for you and your health. Dr. Bruce N. Privatsky and his team are relationship driven and understand that your best care depends on open and honest communication. We are sincerely interested in learning about you as an individual and listening to your dental concerns and goals. Our priority is to keep you well-informed about the condition of your oral health and fully aware of your options for treatment. No Insurance? No Problem! Click here for more Details. We cater to the unique dental conditions of patients in all stages of life. Our dentist personalizes care for young families, teens, adults, and seniors. Whether you need preventive, restorative, or cosmetic dental care, Dr. Privatsky performs all treatments with a meticulous attention to detail. If you are looking for a dental practice that designs dental care to meet your unique needs, contact Deer Park Dental. We consider our personal connection with patients an integral part of the quality oral health care we provide. Call today to schedule an appointment! Please click here to read recent reviews. Deer Park Dentist, Dr. Bruce Privatsky is dedicated to cosmetic dentistry such as Exams, Teeth Whitening, Veneers and more. 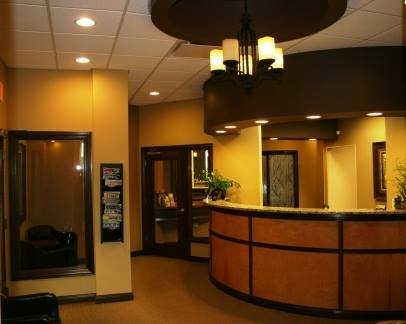 We are looking forward to your visit to our Deer Park, Illinois dental office.